He is known to many as the author of what is widely recognized as the most authoritative textbook on marketing: Marketing Management, now in its 14th edition. He has also authored or co-authored dozens of leading books on marketing: Principles of Marketing; Strategic Marketing for Non-Profit Organizations; Social Marketing; Marketing Places; Marketing for Hospitality and Tourism; The Marketing of Nations, Ten Deadly Marketing Sins, Marketing Insights from A to Z, Winning at Innovation, Lateral Marketing, Attracting Investors, Corporate Social Responsibility, B2B Brand Management, Marketing in the Public Sector, Marketing 3.0, and Good Works..
Dr. Kotler is currently one of Kotler Marketing Group’s several consultants. He presents continuing seminars on leading marketing concepts and developments to companies and organizations in the U.S., Europe, Asia, and South America. 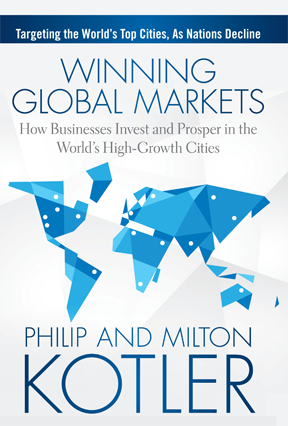 He participates in KMG client projects and has consulted to many major U.S. and foreign companies–including IBM, Michelin, Bank of America, Merck, General Electric, Honeywell, and Motorola–in the areas of marketing strategy and planning, marketing organization, and international marketing. 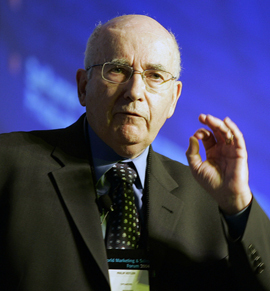 Meet Dr. Philip Kotler in person. 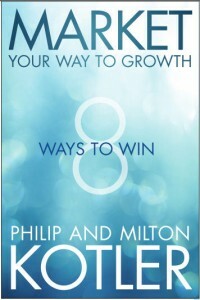 Check here for the latest updates on Dr. Kotler’s speaking engagements. 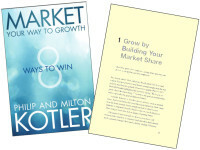 More information of Dr. Kotler’s websites.